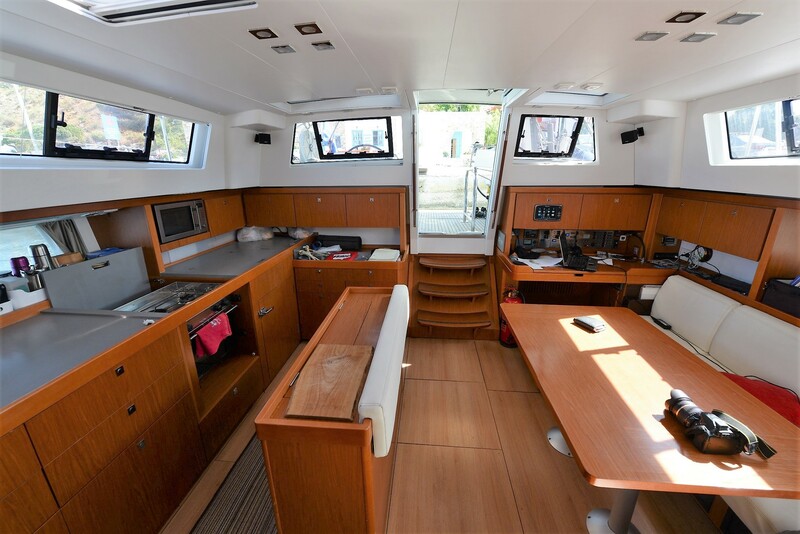 NAVASOL is the name of a Beneteau Sense 50, built 2013, available for cabin charter since May 2016. 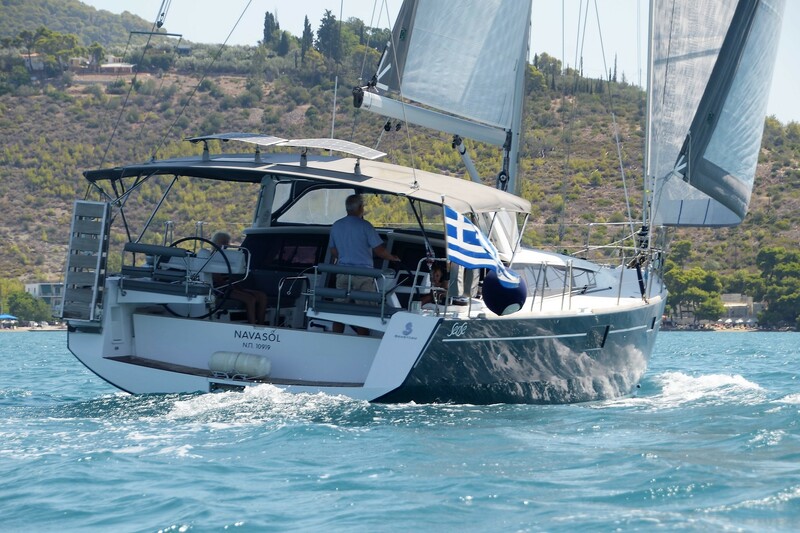 The Sense is offered for charter on the web site of my friend Sailing in Blue (www.sib.gr), however with skipper only. 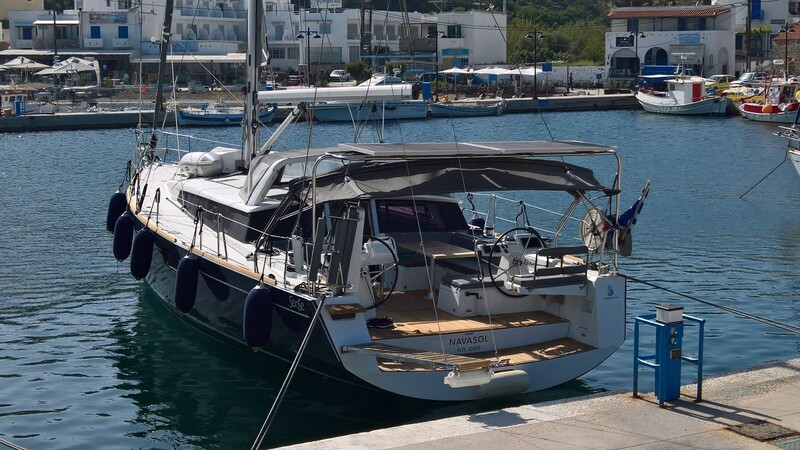 The boat is based in Athens (Alimos Marina/Kalamaki). One-way trips are offered to/from Lefkas, Corfu, Kos, and Rhodes. Now cabin charter with Paul as skipper is available, like in the years before, just on a much nicer boat. The pictures below will provide an impression of the boat as it looks now. The following improvements have been completed: new spray hood, new bimini, new cockpit cushions, a new dinghy with electric outboard. new laminated, high performance sails and in April 2018 the photovoltaic power supply has been replaced with a larger one (540 Wp). … and the boat is also equipped with Wi-Fi, printer, scanner, Bose loud speaker ..